One of the fun things about living over here in Sweden is happening across other Americans who are visiting. A friend and I went over to Marstrand island last weekend with our chickadees for a girl’s day out, and ran into this lovely family while we were having a traditional Swedish lunch of fläsk och potatis – which is basically pork cut thinly so it resembles a really thick bacon, and a side of boiled potatoes with seasoning. Yummy! I’m embarrassed now to say I don’t remember their names, but they were from Connecticut and hopefully they will check the blog to see their lovely family photo with the island’s 350 year old fortress in the background. Update: Lucky for me they were checking in so I’m now happy to introduce the Portugal family (Edwin on the right is following Blue Velvet Chair – Hi Edwin!). They were here to pick up their new Volvo from the main factory in Gothenburg (where I live). Did you know that you can order your Volvo and then come over here, drive it around for up to 6 months, and then they will ship it over to you? You’d be surprised at how many people actually do that. 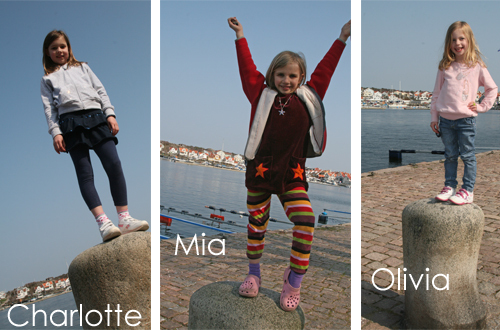 Back to Marstrand…it’s a small island with a rich history (you can walk around it in about an hour). It’s not quite tourist season, so the island was super calm and peaceful as we walked around. An absolutely lovely day! These are the times when their marketing slogan “West coast, best coast!” holds true! Hi Mike – Love your blog and have been jumping from project to project, wanting to do all of them! 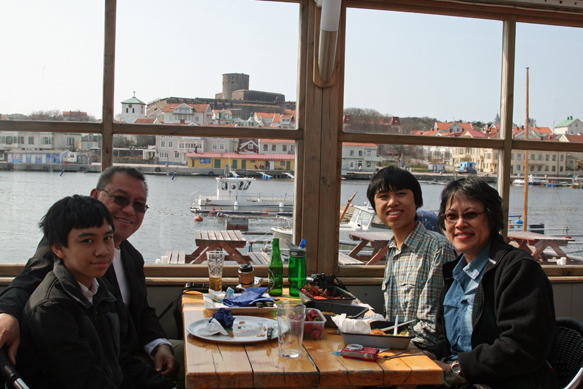 I visited Sweden to meet some of my distant relatives — such wonderful people to meet. One of them, an 85 year old man, met me at the door with a bunch of tulips! I would love to visit again with the intent of searching for family history. (Holsjunga, Malmo) Do you know anyone who does this? I need help. Thanks again for your blog. Diane – plan to pick up your next Volvo and I'll show you around! Edwin – so glad you guys were patient and still watching for your photo. What fun to meet you and I hope you had fun with your short Volvo road trip. Meertje – some things are just too good to change…even for 28 years! Thanks everyone for sitting a while in my little blue velvet chair. I know that you can order a Volvo and come over. We spent the hole day there, lock around and have some food there to. Hmmm, I did not know that about buying a Volvo in Sweden. I've been driving a volvo since 1993. This one is approaching 200K miles.